This is being sponsored by Quilting Gallery. The hardest thing for me with doing something like this is going as slow as the group goes (you know me I want to whip out a quilt 2-3 times a week) But I will try to hang in their and go slow. I have added a badge on the menu to the right and at the the badge above you can go to the main page and read about it. The plan is to make 12-13 blocks (depending on your layout) one block given at a time and a flicker group to post the results too. I think it sounds fun and while I think you all should join in. Just to be sneaky I am not going to tell you who got each block as these are in the mail and the recipients have not received them yet. But last time I totally forgot to post them so here they are. I have also completed my Civil War Quilt (it will be posted in a day or so) I am waiting for something from the cohorts of mine doing it with me and also time to get better pictures (above was a picture half way done with center not quilted and washed yet) So expect that in a day or so. I mentioned the other day that I had bought EQ7 and started playing with it. I have created the above image with it and am making 2 quilts (yes I cant just do 1) using the above as a pattern and guide. In the process of this I plan to make a walk though and demo of how to make my quilt. I also have made a new star I call yes Richard's Star (It's my star so could not help but name it after my self) Once I get done making one of those blocks up will show the world but for now just know its on the way and that Richard has not been taking the last week off just busy with secret projects. 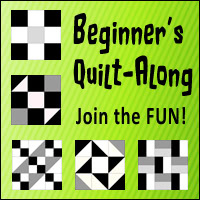 Will be nice to see if you can keep to the slowing down on quilting challenge. Hi! I like the new banner too! Reflects better of you and your strong family man values. Why don't you and Tanya try making 2 or 3 versions of the Beginner's Quilt and you can see the effects of different fabric and colour combinations! Will also keep you more occupied over the month! Kudos to you and your blog. 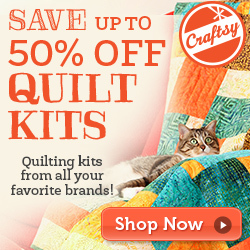 It would have been nice to have such an informative blog to read when I started quilting. You have many great things. Love your blocks, btw! I'll be interested in seeing your star, but almost as interested in seeing how that blue design you did in EQ7 comes out. Are you doing it in blues?